Email marketing is an excellent way to let people know who you are and what you have to offer them that will enable them to move closer to the goals they wish to achieve. When I am sending out emails to promote affiliate products I craft them in a way that will enhance the credibility of the product creator, share a story about the product and how it will be helpful, and also explain the bonus I am offering and why it is relevant to what I am promoting. 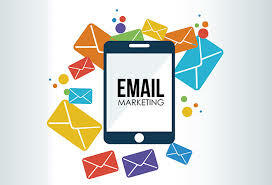 Here are some email marketing tips for affiliates as well as online entrepreneurs. Recently I took part in an affiliate contest where I was promoting a package that included twenty-five coaching lessons on getting started with internet marketing. It was originally written and created by Sean Mize, who had then sold a package of this and many other products to Dennis Becker and Barb Ling. I know all three of these people quite well and have for many years, so it made perfect sense to me to offer this to my community. I knew it would be confusing to explain, so I set about the process of sharing a little about Sean and how I had already gone through all twenty-five lessons when he first released them a few months earlier. Over the course of three days I sent five very detailed emails. I decided to come from the perspective of someone wanting to teach internet marketing to others and shared how they could repurpose each of the lessons into their own coaching program. I referred to this as an “earn while you learn” strategy that could serve them very well. When questions began coming in about this product and how it could be used it became clear to me that my audience wanted and needed training on how to use PLR in their businesses. So my bonus package included a training webinar the following week on exactly that – using PLR to build an online business. This is an example of how the situation dictates what you could offer that would be the most beneficial to those who will be receiving it. Each day during the three day promotion I shared more information on how this product could solve the problem of not knowing how to get started as an online entrepreneur and the importance and value of being able to offer a coaching program that you owned the rights to. I included examples from some of the lessons and shared even more about how well they were prepared. I could vouch for the quality and validity of this program because I had gone through it myself, so credibility was not to be an issue. As the sales kept rolling in I became more excited about the bonus webinar training I was going to be delivering the following week. I added more details of that in my final emails and even more people came aboard and purchased. I hope these email marketing tips in relation to affiliate marketing have been helpful. And yes, I won Dennis and Barb’s affiliate contest! Be sure to take a look at Affiliate Contest Secrets, a training I created to share with you how I have been able to consistently win affiliate contests since coming online over a decade ago. This entry was posted in Online Marketing Tips and tagged Affiliates, Email, Entrepreneurs, Marketing, Tips on April 14, 2017 by Connie Ragen Green. I started out as an affiliate marketer and the most effective recommendations I shared were those for the products, courses, and services I had purchased, was already using and benefiting from in my business, and was anxious to tell other new entrepreneurs about for their businesses. So if you are looking for affiliates to promote and recommend your products, begin by contacting those whom have already purchased from you and who have become raving fans. If you step back and think about this objectively you will find this to be an excellent strategy. Yet so many people are willing to promote products they have never purchased or used, simply to earn the income as an affiliate. This will not bring long-term success in most cases, unless you are purchasing traffic in various niches. For the majority of us this is a relationship business that is based on people doing business with other people they know, like, and trust. When I was just getting started I had no affiliate program whatsoever. Instead, I attempted to sell my products on my own. This was somewhat effective, but definitely not scalable over time. Eventually I set up an affiliate program, but only opened it to those who had purchased something from me. My thinking here was that the people who had gone through my products and courses would make better affiliates because they had experienced what it was like to learn from me and would share that enthusiasm with others. Finally I opened up my affiliate program to everyone. I was curious as to what would happen once I did this. It turned out that those who did not know me at all were ineffective at selling my products and courses as an affiliate. These days my affiliate program is still open to anyone who applies, but I do reach out to those who already know me and encourage them to actively promote and recommend my products and courses to others. Taking this extra step ensures that I am top of mind when a marketer is thinking about recommending something to their audience. And I always offer to create a discount coupon for them if they think this will be helpful. If you are new to affiliate marketing these are the strategies I would suggest. Write a blog post about what you are doing online. Mention one or two products, courses, or services you have benefitted from in your business. Include your affiliate link and ask readers to click on the link to get further information. When others know that you are using a product or service and getting the results promised by the product creator or vendor they are much more likely to give it a try themselves. 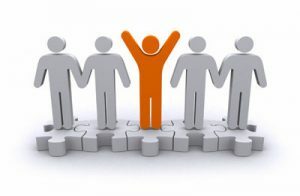 Over time you will connect with more people who can be helpful to you when it comes to having affiliates promote for you. Just two or three well connected affiliates can increase your income substantially over time. And remember that the best affiliates are those who are familiar with you and your products. I’m Connie Ragen Green and I’ve been an online entrepreneur since 2006. If you are ready to get started on your journey to multiple streams of online income, visit my site at Online Entrepreneur Blueprint and download your complimentary training to get started today. If you would like to become an affiliate for my products and courses please visit the Connie Ragen Green Affiliate Center to get started. This entry was posted in Online Marketing Tips and tagged Affiliates, Finding, Products on April 4, 2017 by Connie Ragen Green. This entry was posted in Online Marketing Tips and tagged Affiliate, Affiliates, Making, Offers, Prospective on December 27, 2016 by Connie Ragen Green. Direct Contact – Find competitors and others who market to your audience who do not offer exact products or services as you and approach them directly. Work first to build relationships with these people in online groups, via joint ventures, events, and more and you’ll be certain to get a percentage of these people to sign up for your affiliate program and promote your products and services. Clients – Your best affiliates can come from people who have purchased from you. Definitely, run an email series for your customers to encourage them to earn money by recommending your products to their friends and family. This is a great way to end up with a true fan as an affiliate. Colleagues – Even if you work from home, you are likely part of a group of like-minded individuals online and / or offline. Ensure that you let these people know that you have an affiliate program so that they can choose to join if they want to. You can also if you’ve used the right type of software, give special commission amounts to people you know. Movers & Shakers – You’ve seen them on Twitter, Facebook groups, and probably on numerous webinars and other places. These big earners shake things up. Work toward building a relationship with them, then make it super simple for them to promote by giving them a free copy, graphics, and more. Offer to set it all up for them so that all they have to do is collect the money when they make sales. As a fellow “mover and shaker” you can bet I always know how to find affiliates. Conferences – You can also meet potential affiliates at live events and conferences. Whether you’re a speaker or an attendee, you may meet people who need to offer your products to their audience. Make it worth their while to promote you, by also promoting them. Print Publications – You can place ads in relevant print publicans such as work at home magazines and other magazines devoted to people who are interested in this type of income opportunity. Blogging – Use your blog part of the time, to speak to potential affiliates. Your blog provides your audience with solutions to their problems. 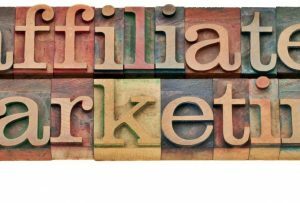 But, once you have an affiliate program, you can also mention how you want to help as many people as possible and your readers can help by becoming an affiliate. Forums/Groups – Any groups you’re part of, online or offline, can be great places to find affiliates. The best thing to do is to build relationships with people you think would like and promote your products. Offer to do things for them, make your program so inviting that they can’t resist. Online Ads – Another way to attract affiliates is to advertise the program and its benefits. You can use Facebook, Twitter, or even Ad Words to market the program. This works very well, if you have a good product funnel, offer excellent commissions, and a wide range of products for your niche. Your Website – Don’t forget that your website is the hub of your business. Keep reminder info and an affiliate program link in a prominent place on your site. This can be short and link to further information about the program details. 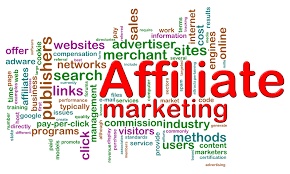 Word-of-Mouth – People like to talk, so if you do a good job taking care of your affiliates plus offering really great products then super affiliates will notice you and talk about you. Plus, when they start promoting your products, other people in their circle will notice and join too. Cold Calls – If you know people already that promote other people’s products and you’re sure that your product fits in with their niche, go ahead and drop them an email, or even get them on the phone. Be ready to explain what is so great about your product and how it benefits their audience. Plus, explain how you’re going to make it super easy for them to be part of your program. Hire an Affiliate Manager – Even if you’re just starting your program, hiring an affiliate manager can help you grow your affiliate program faster. Hire someone who is familiar with your niche, who has connections to promote to super affiliates and who understands the software you use. 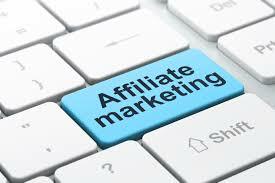 A good affiliate manager will know exactly how to find affiliates for you. Directories – There are directories, such as affiliatesseeking.com, where you can list your affiliate program. They do require a link back, but it’s free. More than likely, you won’t find as many affiliates this way since building relationships is very important. However, it does help direct potential affiliates to your opportunity. Affiliate Networks – Another great way to find affiliates is to list your products in affiliate networks such as Clickbank.com or JVZOO.com. Marketers who are looking for a product to promote often go there to search for products. Make sure you offer a great program, and a lucrative commission. Include tools to make promoting easy. These could articles, graphics, emails, etc. Finding and recruiting affiliates is only part of starting an affiliate program. Now you need to make your affiliate offer worthy, appealing and timely. Plus, the more unique your offer is, the more affiliates you’ll recruit. Now that you know how to find affiliates, what other questions may I answer for you to help you grow your business? This entry was posted in Online Marketing Tips and tagged Affiliates, Business, Find, Grow on December 22, 2016 by Connie Ragen Green. This entry was posted in Online Marketing Tips and tagged Affiliates, Help, Products, Recruiting, Sell on December 17, 2016 by Connie Ragen Green.